This is a B-Stock item. Please note that B-Stock items are either ex display, ex repair, or have previously been returned by another customer. The Roland V-4EX 4 Channel Video Switcher/Mixer is an all-in-one SD video mixer with HDMI in/out, USB streaming out and built-in multi-viewer with touch control. 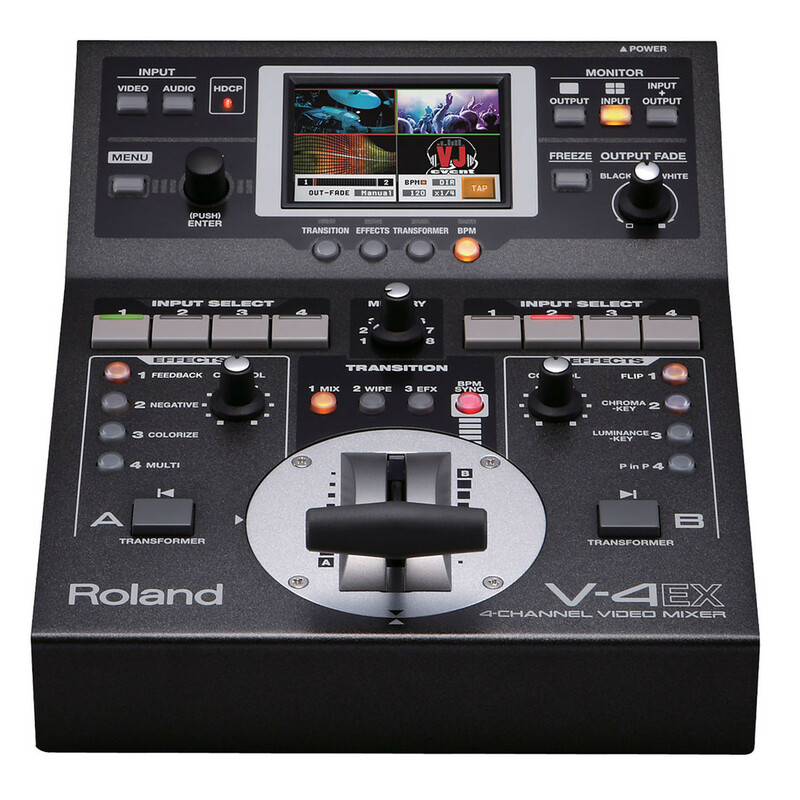 The V-4EX is incredibly versatile, making it suitable for many applications including clubs, concerts, houses of worship, meetings, training, weddings, education, sporting events and more. The sleek and compact design makes it perfect for transportation and portable applications, as well as permanent installations when size and space are considerations. Please note, the box has been opened as part of our quality control inspections and as such all the seals have been broken. The item itself is brand new and has never been used. 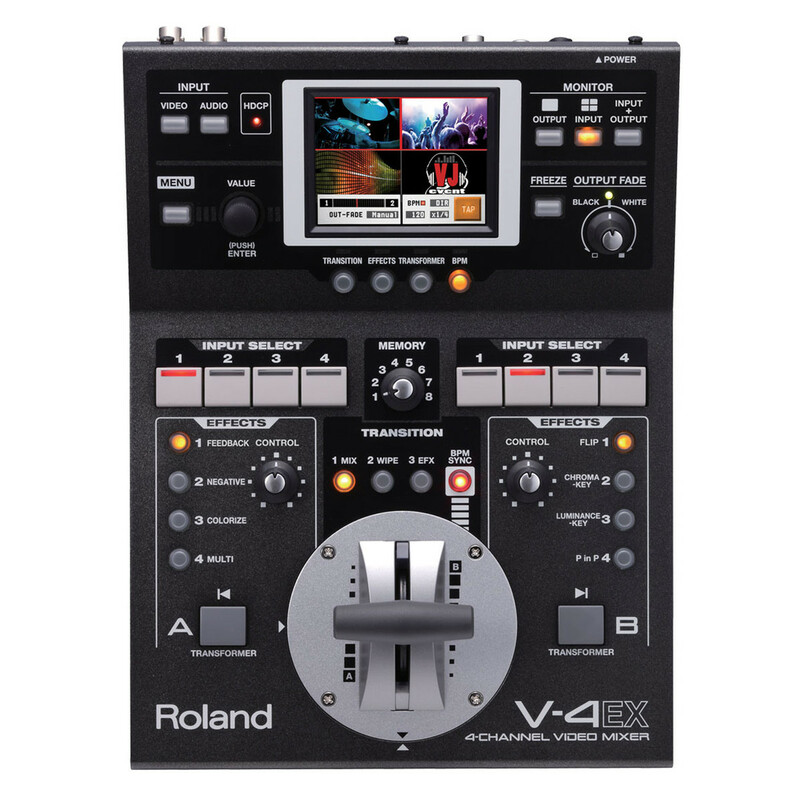 The Roland V-4EX 4 Channel Video Switcher/Mixer is designed to be a live production swithcer and web streaming device, featuring audio embedding, built-in audio mixer with up to 4 frames delay to "lipsync" your video source. In addition to a number of powerful video effects, the user interface incorporates dial controls for effects on each bus and master output dial. The innovative design incorporates a video switcher, audio embedding, preview monitor and streaming-ready USB output all in a single unit. 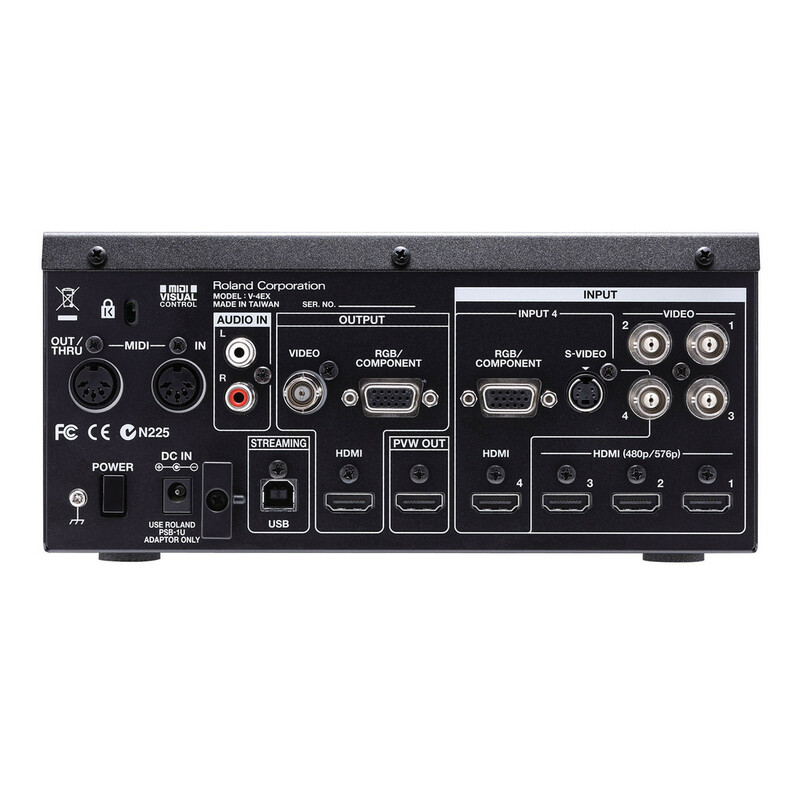 Inputs one to three feature composite (BNC) or HDMI while input four accepts HDMI, RGB/Component or S-video. The output features scaled-up HDMI, RGB/component, or SD composite with an additional HDMI output for external preview monitor. 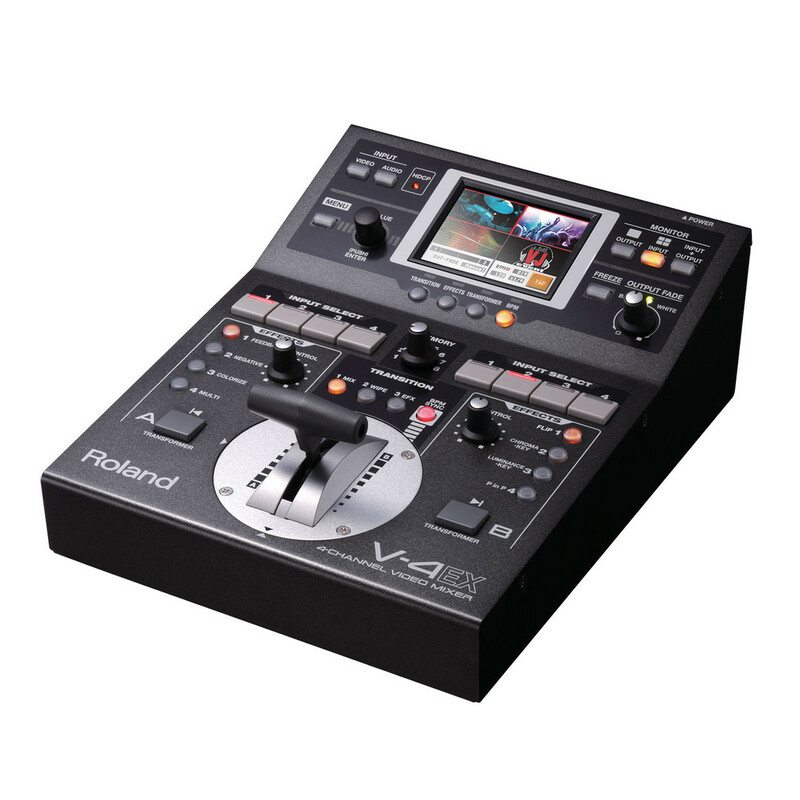 The Roland V-4EX features a stereo RCA audio input allowing you to embed audio into the HDMI outputs and USB stream, which are especially useful for web streaming and recording applications. As a USB Video/Audio class device, web streaming is effortless by simply connecting to a computer running a live streaming service. You can also record the output using Roland's free Video Capture for Windows software or by using Quicktime on a Mac. For full specifications please see the PDF above.